Never mind what the writers, the production staff and the cast were trying to say. This is what one of the TV audience got from the 10 seasons of this epic SF drama and the three films which were actually made. The original, 1994 Stargate film was intended to be the first part of a trilogy. There was to have been a third film featuring the TV cast and focussed on General Jack O'Neill. If they had been made, this book would have been 7-10 pages longer. But what we do have are highly personal accounts of what went on in 214 episodes of the TV series and three feature films. 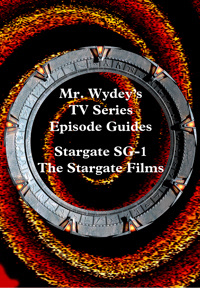 This collection is offered as a supplement to the SGC-X stories, which are set in a very similar, but slightly alternate, universe to the home of the Stargate TV series.